This passage from Hazel Spencer Phillips is about the historic Golden Lamb Inn & Restaurant. But it also reflects the character and charm of the town of Lebanon, where history is very much alive. In September of 1802, Silas Hurin, Ephriam Hathaway, Samuel Manning, and Ichabod Corwin laid out the town of Lebanon. There were four sections of land with 100 lots. Broadway was established as the most important center intersection – a position it still holds today. 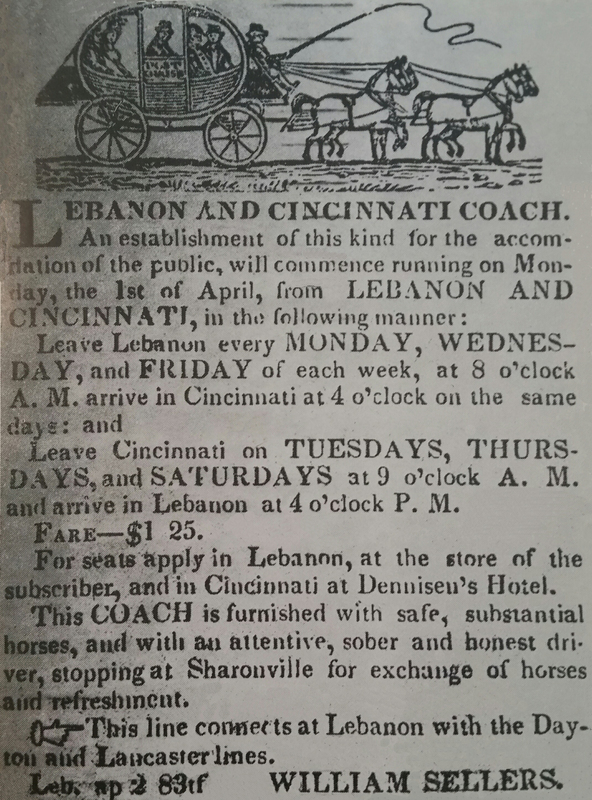 The intersection was “as wide as a stagecoach would require” to make a complete turn in front of the town tavern, as Lebanon was the designated stagecoach route and stop for travelers from Cincinnati heading north. Settlers looking for rich land soon arrived from Kentucky, the Carolinas, Virginia, New Jersey, Pennsylvania, and New York to make Lebanon their home. The Black Horse Tavern was the first tavern in town and also housed the first store and courthouse. 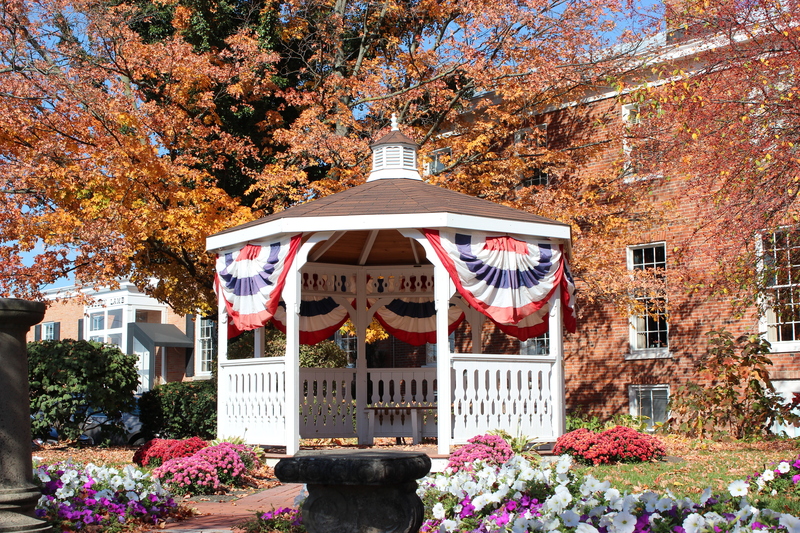 It was originally the home of one of the town’s founders – Ichabod Corwin. In 1815, The Golden Lamb opened its doors at 27 South Broadway. In 1940, the Daughters of the American Revolution marked it as the oldest hotel in Ohio. 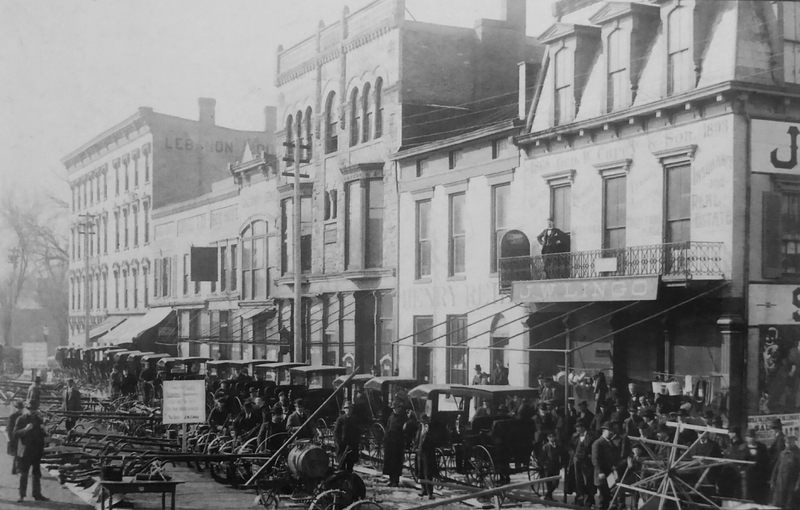 It continues today as Ohio’s oldest continually operated business. The Inn and Restaurant have played host to numerous U.S. presidents, authors, dignitaries, and celebrities. In 1908, the town attracted a famous building of a different sort, when Andrew Carnegie provided funds to build a Carnegie library in Lebanon. This too still stands and is in operation – just across the street from the Golden Lamb. The preservation of the town is rather remarkable. In just a few blocks drive, one can see a vast variety of architecture including Federal, Gothic, Victorian, Craftsman, and Greek Revival. One of the best examples of the latter is the Glendower Mansion which was built in the 1830s and can be toured today. It is also interesting to see how many early buildings have been re-purposed. For instance, Miller’s Antique Market is in a building which once served as gas station, auto repair, and Chevrolet dealership. The Golden Turtle Chocolate Factory is one business occupying the former Motor Inn (auto repair) site. 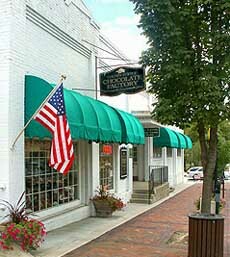 Today, unique and antique shops line the Lebanon streets first laid out in 1802. Locally owned dining gems offer travelers a place to rest and refresh. An old-fashioned train chugs through the town offering rides for the young and young at heart. Festivals celebrating apples, blues, and the holidays attract thousands of visitors annually. Shaker and other historical artifacts abound in The Golden Lamb, Warren County History Museum, and Glendower Mansion. You would have a difficult time finding a better place to step back in time, or a place where the “feeling of good comradeship persists” as strongly as it does in Lebanon.